Artists in the Photo League, active from 1936 to 1951, were known for capturing sharply revealing, compelling moments from everyday life. Their focus centered on New York City and its vibrant streets—a newsboy at work, a brass band on a bustling corner, a crowded beach at Coney Island. Though beautiful, the images harbor strong social commentary on issues of class, child labor, and opportunity. The Radical Camera explores the fascinating blend of aesthetics and social activism at the heart of the Photo League, tracing the group's left-leaning roots and idealism to the worker-photography movement in Europe. Influenced by mentors Lewis Hine, Berenice Abbott, and Paul Strand, artists in the Photo League worked within a unique complex comprising a school, a darkroom, a gallery, and a salon, in which photography was discussed as both a means for social change and an art form. 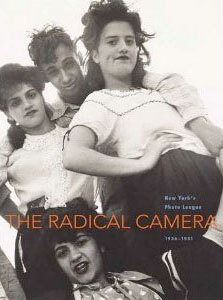 The influence of the Photo League artists on modern photography was enormous, ushering in the New York School. Presenting 150 works of the members of the Photo League alongside complementary essays that offer new interpretations of the League's work, ideas, and pedagogy, this beautifully illustrated book features artists including Margaret Bourke-White, Sid Grossman, Morris Engel, Lisette Model, Ruth Orkin, Walter Rosenblum, Aaron Siskind, W. Eugene Smith, and Weegee, among many others.